So, how has the time between curling up on the floor in fear and injecting myself in hips been? It has been different to what we expected but nowhere near as bad. Since diagnosis I have had three relapses and an infection-induced exacerbation. They have been debilitating but not disabling and only once could I not walk at all. I have not required hospital treatment and have only had four days off work in total. So far, so good – I refuse to lie on the sofa and become “ill” so I make myself live my life as I always have done. Some things have had to go – I have resigned from my voluntary work and from my role as a school governor, but this could be as easily ascribed to a Candy Crush addiction than to MS. I am giving up my part-time job but who in their right mind studies full-time and works part-time with two children anyway? There are things I can no longer do – I can’t do Zumba (shame), I can’t bounce on a trampoline, I can’t go on rollercoasters, and, with genuine sadness, I can no longer dance for an entire song. This is partly because of the dizziness but mainly because of the muscle fatigue. I can’t stand up for an entire ward round and, when it is really warm, I can’t walk up the hill from the children’s school to home. Because it is the fatigue that is the real bugger of all this. At the end of every day my muscles and joints hurt. Through the day bits of me will become heavy, or be struck by pins and needles or a weird buzzing in the muscles which feels like a mobile phone on silent. Each day I am struck by a wave of tiredness that means I need to stop doing what I’m doing and have a rest. This is not entirely convenient if I am trying to supervise homework or make tea but it is OK – we are adjusting and I still live life to the full. The latest relapse was the longest and caused us a bit of worry – I kept forgetting the words for things and stopped wanting to go out with friends, or have people for dinner, or do anything really. Weekends were spent pottering and sleeping and that wasn’t fantastic for the children (like many little boys, my five year old son is like a labrador and needs plenty of outdoor exercise every day!) My MS nurse persuaded me that it was time to start what they call “disease-modifying therapies.” Beta-interferon is the best known of these but has side effects that can make you take to your bed, or cause/worsen depression, so instead I opted for Copaxone. It is a daily injection but has few side-effects and is designed to try and reduce the rate of future relapses. My relapses have been frequent but relatively mild – the wonderfully upbeat nurse reckons the injections might mean I don’t have another one for years. I have 362 Facebook friends. I am a really big fan of Facebook; when people tell me they are not on there I am genuinely puzzled as to how they keep up to date with what is going on with their friends and the wider world (apparently they talk on the phone and read newspapers – weirdos.) I have an eclectic mix of Facebook friends – my family, my friends, ex-colleagues, ex-students (now young adults and refreshingly un-Daily Mail), new parents who I taught as expectant parents, old school friends, current co-students and many people who I know only because of the wonderful forum-filled world of the internet. I have decided to pretend that each one of them has individually paid for a day’s injection, which will take me to next summer when I should start paying taxes again. And so I thank them, as taxpayers (or future taxpayers) for allowing me the opportunity to be well – to qualify (please, please) as a doctor, to laugh with my husband, to sweep my boy into my arms for the best cuddles in the world, and to have the mental capacity to answer the very many questions of the world’s brightest and most curious** eight year old. 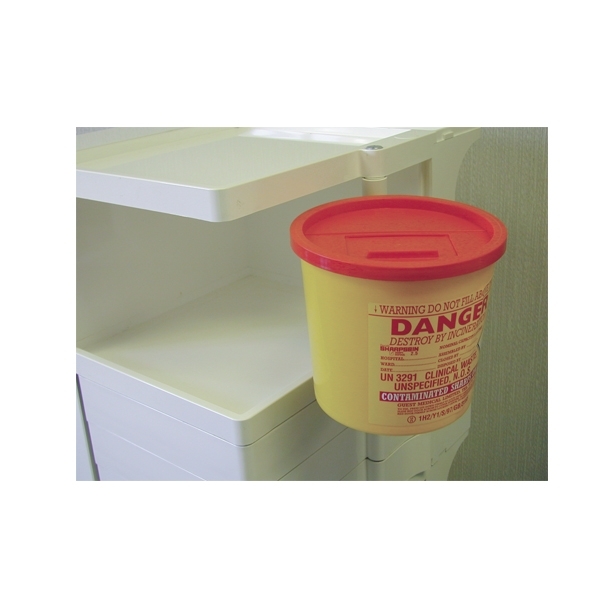 Now – where’s that sharps bin…? *Incidentally Katie Hopkins has this week declared that having a children is a luxury in our cash-strapped times and that all maternity leave should be capped at 6 weeks, unpaid. You can find her article in The Huffington Post on Twitter, but not today if you are following the boycott.